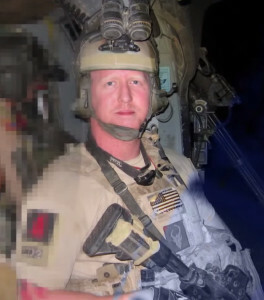 Robert O’Neill, by all accounts should be considered an American Hero. He was a member of the famed ‘Seal Team 6’ that ended up being the unit that took down Osama Bin Laden. 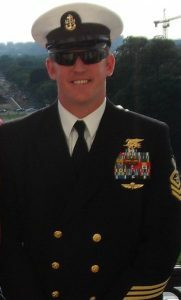 Although unconfirmed, he claims to be the soldier who fired the shots that ended up fatally wounding Bin Laden. He has faced numerous threats from terror groups around the world for his participation in the raid on Abbottabad, the stronghold in which Bin Laden made his last stand. Most recently, ISIS made several threats directed at Mr. O’Neill online, to which O’Neill responded, “I know how to defend myself”. Based on his combat track record, there can be little doubt that this is true. However, Mr. O’Neill is now embroiled in a battle in which martial skill matters very little. On April 8th, Mr. O’Neill was discovered passed out behind the wheel of his parked car with the engine running in front of a convenience store in Montana. Concerned customers has called the police after observing him for a short while slumped over his steering wheel. When police arrived they questioned O’Neill who failed a field sobriety test, and then claimed to have taken medication to help his insomnia prior to driving. He subsequently refused a blood test and was charged with misdemeanor DUI. The Bin Laden assault is not Mr. O’Neill’s first brush with fame. He was also part of the team that rescued the now famous “Captain Phillips” from Somali pirates. He also helped rescue the sole survivor of a 4 man team in Afghanistan that was later featured in the film “Lone Survivor”. 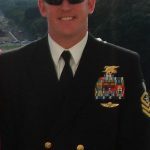 This new battle is not one that even a hero like Robert O’Neill can fight alone. Neither can you. Make sure you have the best representation available. Get yourself a FORMER PROSECUTOR today!